USA Fibroid Centers specializes in helping women throughout the New York area find relief from uterine fibroid symptoms. We offer non-surgical, outpatient Uterine Fibroid Embolization (UFE) that can reduce the size of your fibroids and allow you to live a healthier, happier life. While these symptoms can cause discomfort for many women, USA Fibroid Centers in New York is here to provide the support you need. Our experts can assist you in determining if you have uterine fibroids and may recommend minimally invasive UFE treatment at one of our many New York treatment centers. What Is Non-Invasive Fibroid Treatment? 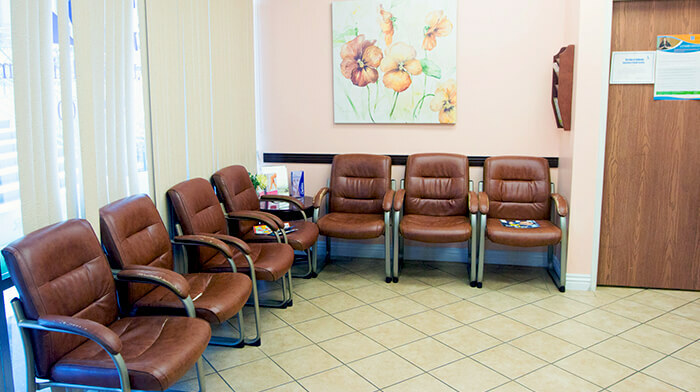 Our New York uterine fibroid treatment centers specialize in FDA-approved, outpatient UFE treatment, which means that you can go home the same day as your procedure. We strive to help you feel completely relaxed and comfortable during your treatment by numbing your upper thigh and giving you a light sedative. After, we’ll locate the fibroids and block their blood flow using a small catheter, which we insert through a tiny incision either in the groin or wrist. The entire procedure takes between 30 to 45 minutes. Uterine fibroid embolization (UFE) is considered the “gold standard” of fibroid treatment. At one of our New York facilities, patients can expect a shorter recovery time than an invasive surgery at a hospital. There will be no stitches, no general anesthesia, and recovery time is minimal; therefore, you can return to work and other everyday activities in as little as five to seven days. Most women make a full recovery in one to two weeks. This is optimal for people who want to avoid missing an extensive amount of work. 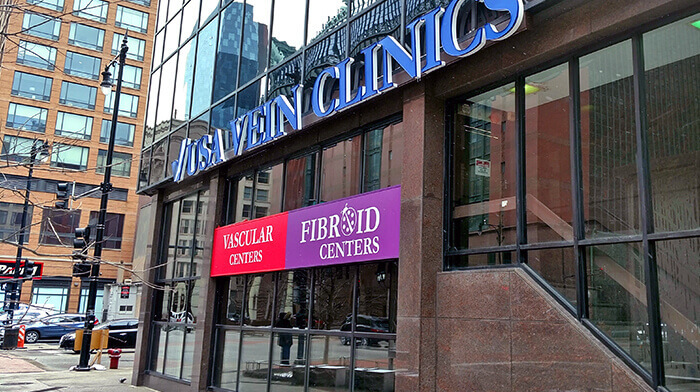 What Can I Expect from My Fibroids Treatment in New York? When you receive treatment of uterine fibroids from one of the USA Fibroid Centers in New York, you can expect to enjoy living your life to its fullest once again. After UFE, you’ll be able to take control of your body and life. You will no longer have to miss work or time with friends due to your symptoms — after fibroid treatment, you can focus on the things that matter most. If you’ve been diagnosed with, or are experiencing symptoms of uterine fibroids, you are not alone; USA Fibroid Centers is here to help. Our New York fibroid treatment centers are easily accessible to women in Manhattan, Brooklyn, the Bronx, Queens, and beyond. Feel free to stop by or fill out a form online to request your consultation. If you’re still unsure, check your symptoms here first. Our specialists will answer all of your questions and help determine if UFE is the best option for you.